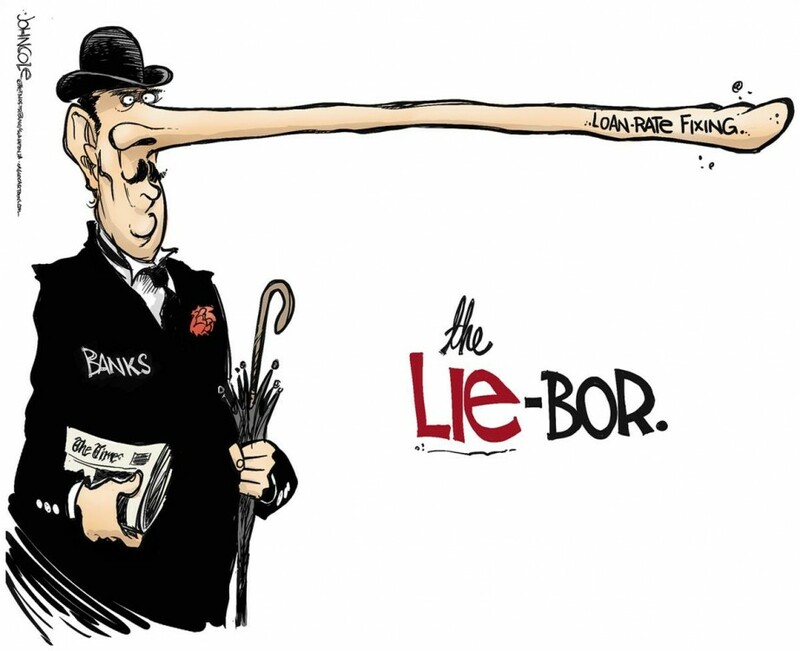 Unofficially, Libor died some time in 2012 when what until then was a giant “conspiracy theory” – namely that the world’s most important reference index, setting the price for $350 trillion in loans, credit and derivative securities had been rigged for years – was confirmed. Officially, Libor died earlier today when the top U.K. regulator, the Financial Conduct Authority which regulates Libor, said the scandal-plagued index would be phased out and that work would begin for a transition to alternate, and still undetermined, benchmarks by the end of 2021. As the WSJ adds, the U.K. regulator has the power to compel banks to submit data to calculate the benchmark. “But we do not think it right to ask, or to require, that panel banks continue to submit expert judgments indefinitely,” he said, adding that many banks felt “discomfort” at the current set up. The FCA recently launched an exercise to gather data from 49 banks to see which institutions are most active in the interbank lending market. And so the inevitable decision which many had anticipated, was finally made: after 2021 Libor will be no more. 1986: First Libor rates published. 2008: WSJ articles show concerns with Libor. Regulators begin probes. 2012: Barclays becomes first bank to settle Libor-rigging allegations. U.K. regulator pledges to reform the benchmark. 2014: Intercontinental Exchange takes control of administering Libor. 2015: Trader Tom Hayes gets 14-year prison sentence after Libor trial. 2017: U.K. regulator plans to phase in Libor alternatives over five years. Then there is the question of succession: with over $300 trillion in derivative trades, and countless billion in floating debt contracts, currently referening Libor, the pressing question is what will replace it, and how will the transition be implemented seamlessly? Bailey said it was up to the IBA and banks to decide how to move Libor-based contracts to new benchmarks. After 2021 IBA could choose to keep Libor running, but the U.K. regulator would no longer compel banks to submit data for the benchmark. The Fed has already been gearing up for the replacement: last month the Alternative Reference Rates Committee, a group made up of the largest US banks, voted to use a benchmark based on short-term loans known as repurchase agreements or “repo” trades, backed by Treasury securities, to replace U.S. dollar Libor. The new rate is expected to be phased in starting next year, and the group will hold its inaugural meeting in just days, on August 1. So as the countdown to 2021 begins, what replaces Libor is not the only question: a bigger problem, and perhaps the reason why Libor was so irrelevant since the financial crisis, is that short-term funding costs since the financial crisis were virtually non-existent due to ZIRP and NIRP. Now that rates are once again rising, the concern will be that not does a replacement index have to be launched that has all the functionality of Libor (ex rigging of course), but that short-term interest rates linked to the Libor replacement will be inevitably rising. And, for all those who follow funding costs and the upcoming reduction in liquidity in a world of hawkish central banks, this means that volatility is guaranteed. In other words, this forced transition is coming in the worst possible time. Then again, as many have speculated, with the next recession virtually assured to hit well before 2021, it is much more likely that this particular plan, like so many others, will be indefinitely postponed long before the actual deadline. This entry was posted in Banking, Bonds, Economy and tagged LIBOR, LIBOR Index on July 27, 2017 by Bone Fish.